The global rebound is “fragile” and shocks could push the world toward another recession, according to Government of Singapore Investment Corp., manager of more than $100 billion of the nation’s foreign reserves. 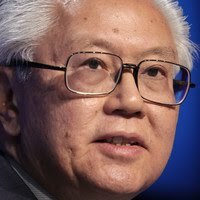 Risks to the global recovery have increased due to Europe’s debt turmoil, continued deleveraging in the U.S. and protectionist pressures, Tony Tan, deputy chairman of GIC, said in a speech in Singapore today. The fund is ranked the world’s sixth-largest state investment company by Sovereign Wealth Fund Institute in California. Policy makers in most developed economies have refrained from raising interest rates from record lows amid concern the global recovery will falter. The International Monetary Fund this month said financial-market turmoil has increased the risks to the rebound, and Moody’s Investors Service lowered its credit ratings on Portugal and Ireland. U.S. Federal Reserve Chairman Ben S. Bernanke said July 21 the economic outlook remains “unusually uncertain,” adding to concern the global recovery is losing steam. The comments sent crude oil and metal prices lower and triggered declines in stocks in the U.S. and Asia. Developed economies will take a “long time” to recover fully from the global crisis and emerging nations such as Brazil, Russia, India and China will gain importance, Tan said. The world economy may grow 4 percent in 2010, before expanding at a more moderate pace next year, he said. Growth in Asia excluding Japan may reach 8 percent this year, with China and India expanding 8 percent to 10 percent, Tan estimated. GIC’s investments in stocks accounted for 38 percent of its portfolio in the year to March 31, 2009, while bond investments represented 24 percent, according to its annual report released in September. Allocations to alternative investments, including private equity, real estate and hedge funds, made up 30 percent of its portfolio. GIC bought stakes in Citigroup Inc. and UBS AG in 2008 as the collapse in the U.S. subprime mortgage market in 2007 froze credit markets and led to almost $1.8 trillion in losses and writedowns at financial institutions worldwide.